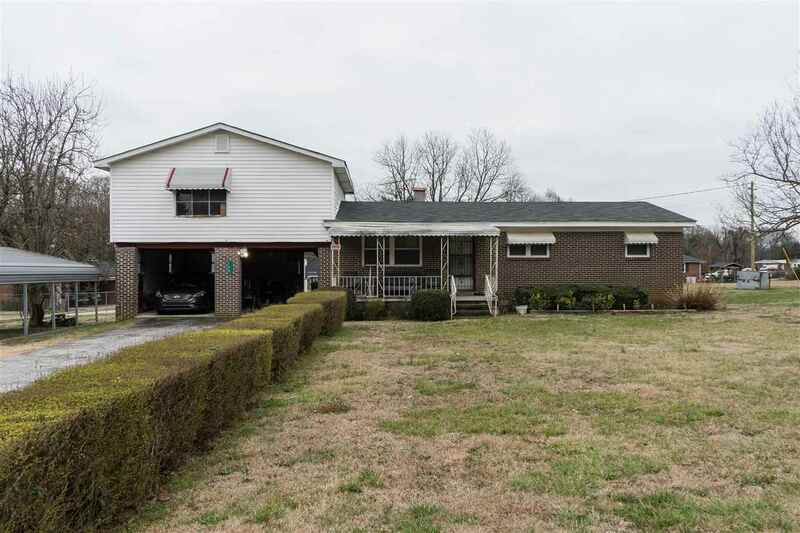 3BR/1BA BRICK home sits on a CORNER FENCED IN LOT, not to mention, over an acre! Lots of space and potential in this home with 2 spacious rooms upstairs, with one featuring carpet and the other room, is your own creation. A cozy eat-in kitchen provides laminate countertops, stainless steel sink and stove. You&apos;ll find hardwoods in the living room, not to mention under the vinyl in the bedrooms. For the hand-i-man, a double attached carport gives plenty of room for a workshop, while two storage buildings provide plenty of room for more storage. Come take a look and make your offer!